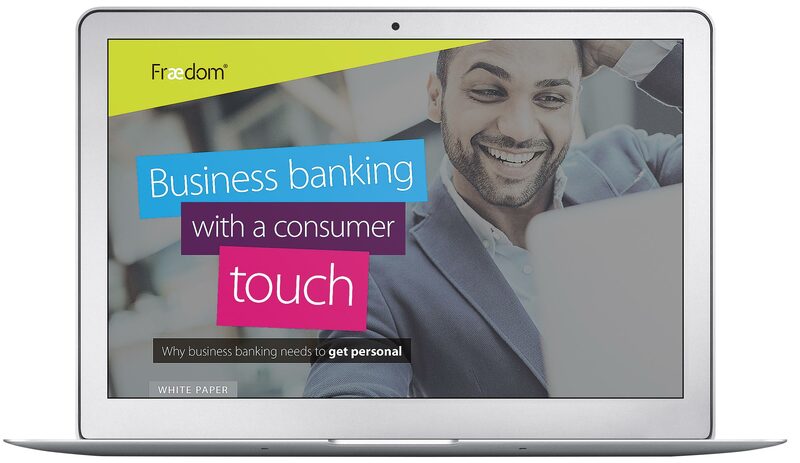 White paper: Business banking with a consumer touch - it's time to get personal. Business banking customers want to be treated like people. It's that simple. 95% of commercial clients who bank digitally in their personal lives now expect to bank digitally at work as well. And they want their at-work banking experience to be as seamless, fast and intuitive as their personal banking. With the technology behind these services widely available, why are similar user experiences not being so widely enjoyed by corporate clients? This white paper is the result of our research into this anomaly weighing up the evidence, examining the causes and looking at how some banks are working hard to improve their customer experience and gain a competitive edge.